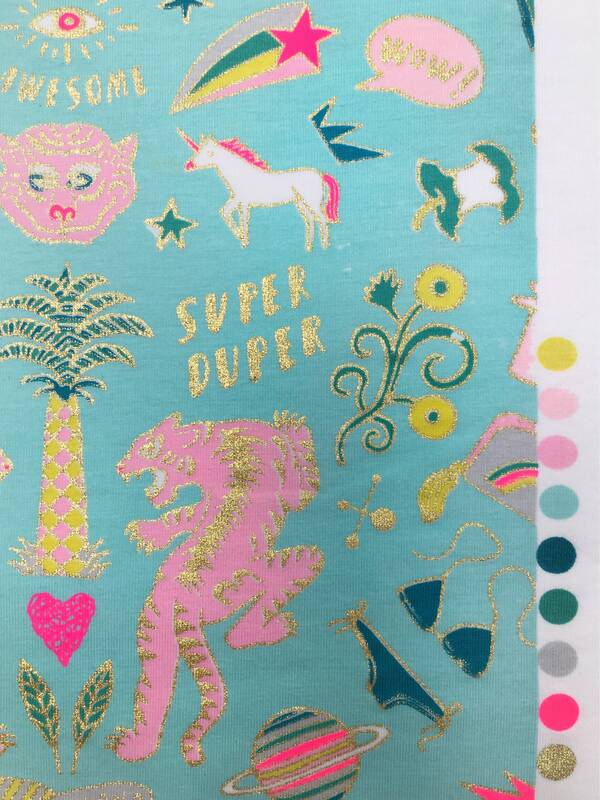 Rico Wonderland teal and gold foil printed knitted jersey cotton. 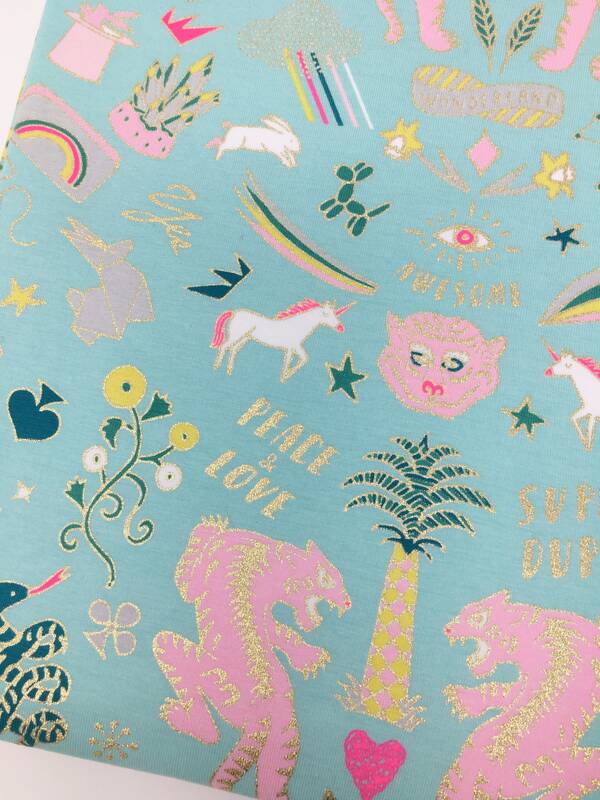 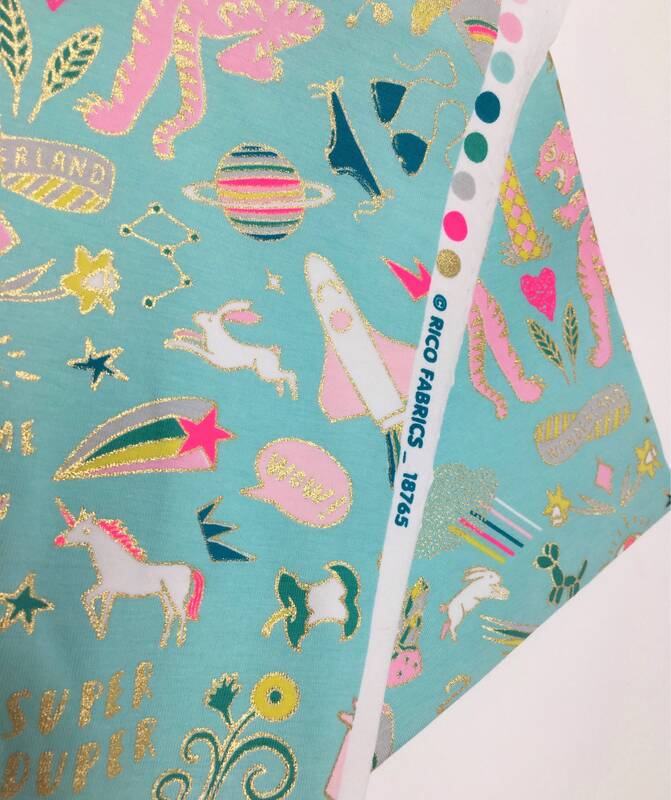 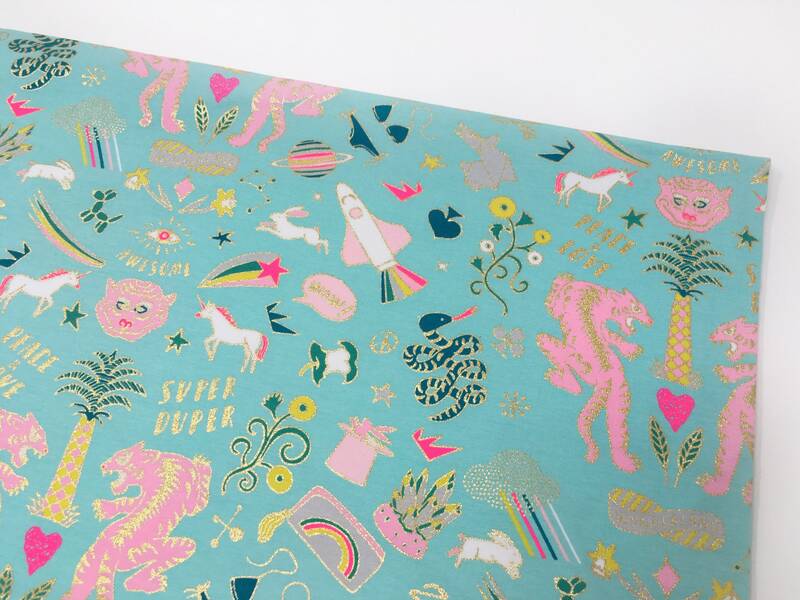 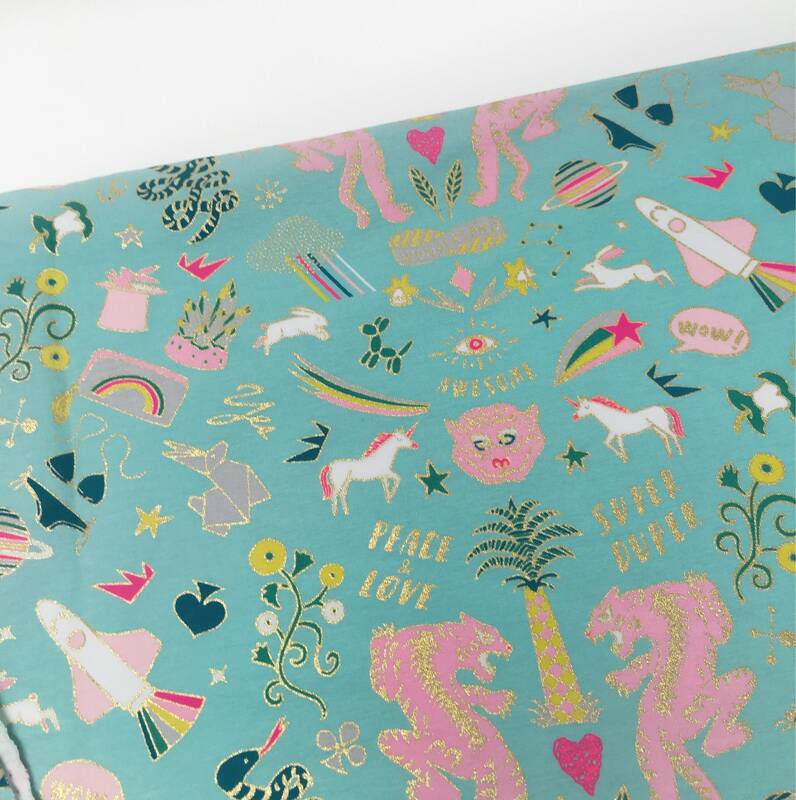 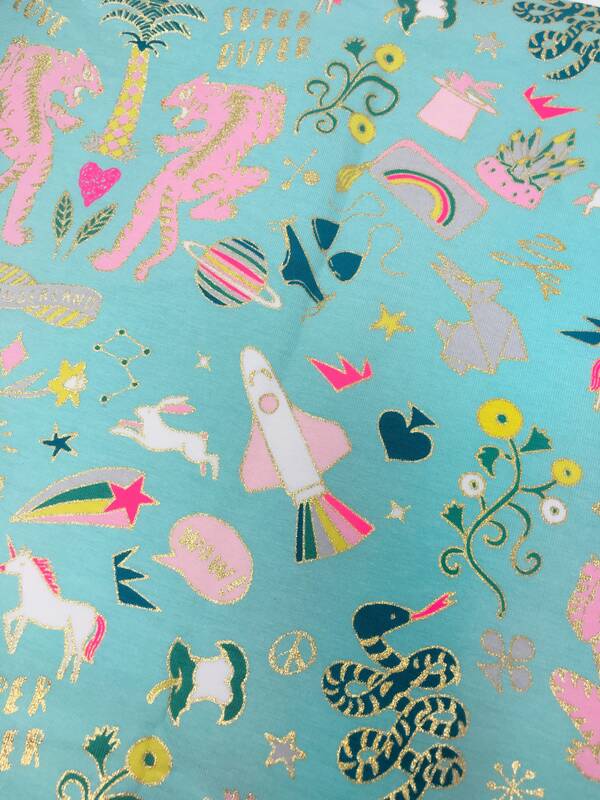 This stunning fabric features leaping tigers, launching rocket ships, beautiful palm tress, unicorns and much more! 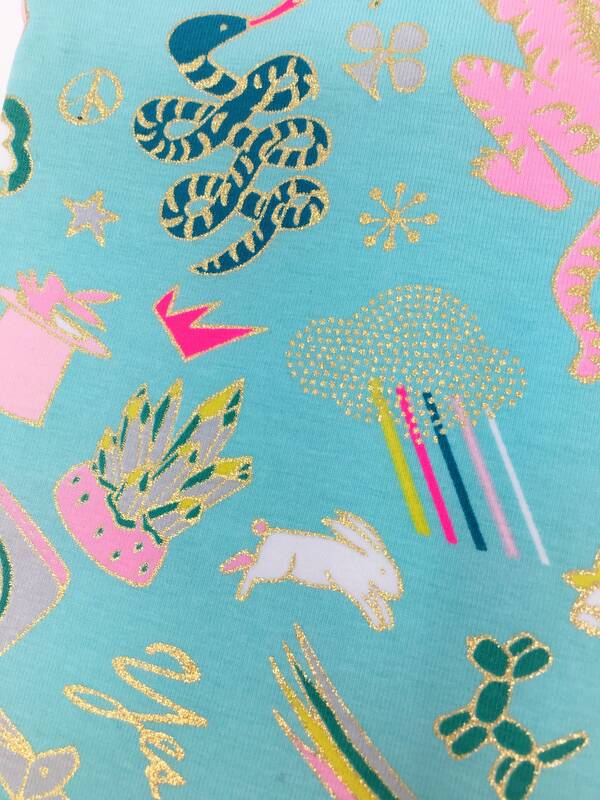 This fabric is 100% cotton with multicolour and gold foil print. 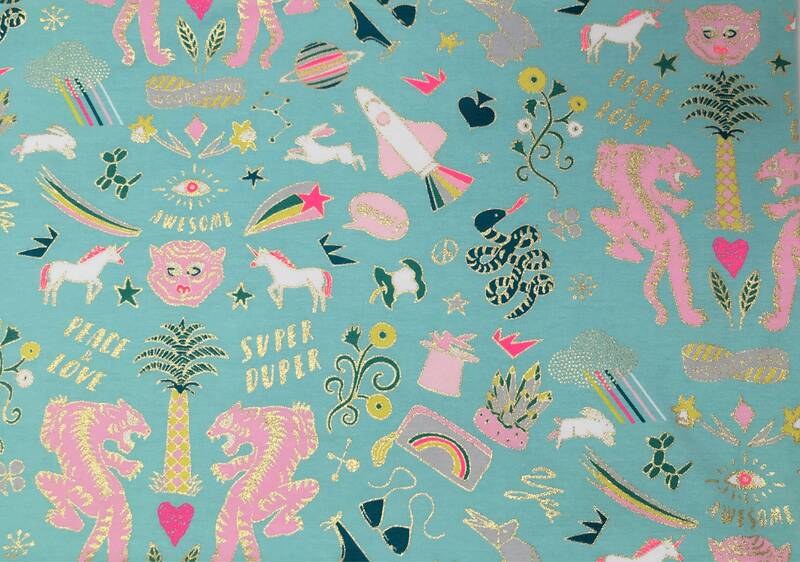 This jersey cotton is 55 inches or 140cm wide. 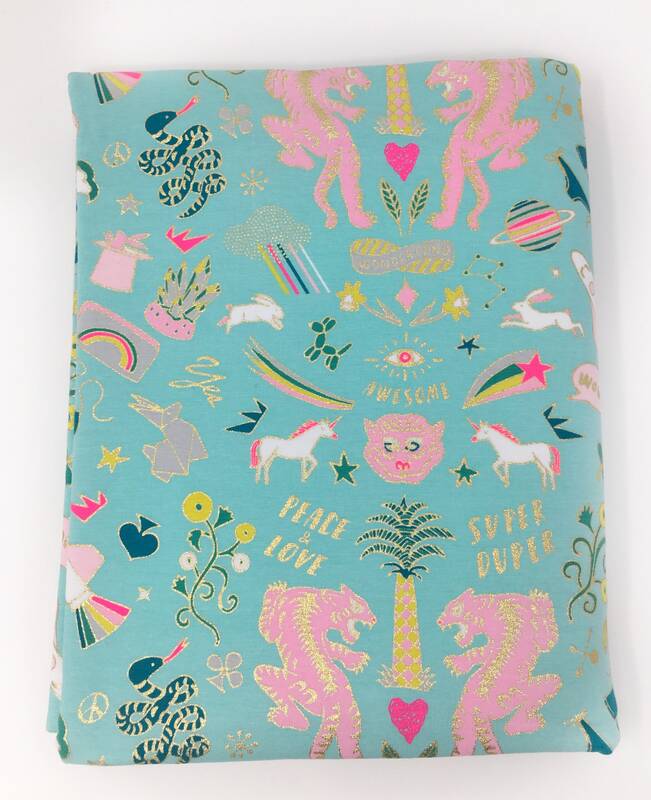 Matching woven cotton fabrics are also available.